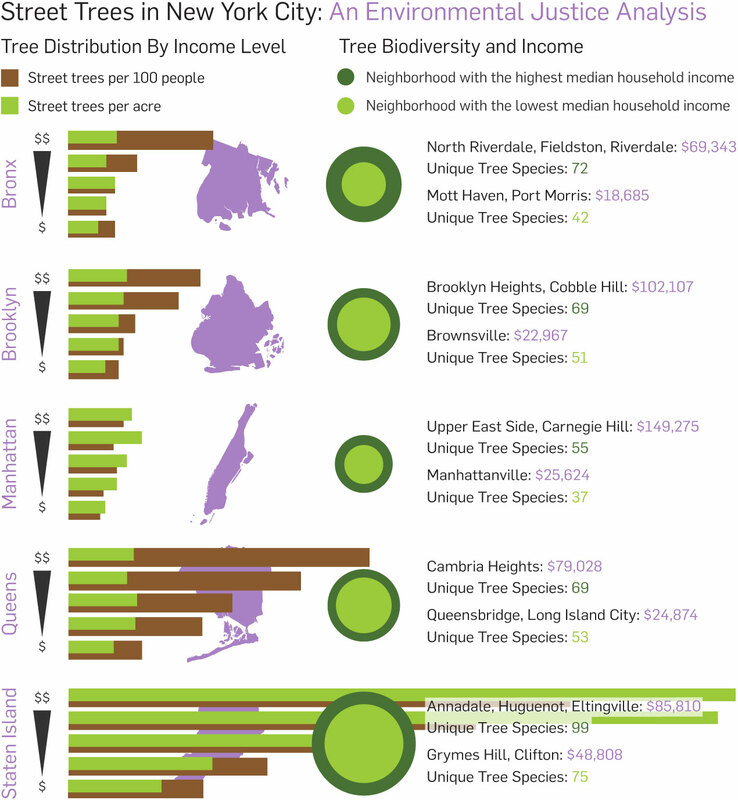 For this little geographic data analysis/infographic project I used GIS data provided through NYC DoITT’s OpenData platform and population and economic data provided by the NYC DCP to determine the relationship between income and number of street trees, and income and biodiversity of street trees. The tree distribution data is arranged in quintiles, from neighborhoods with the highest median household income (top) to the lowest (bottom). Staten Island’s trees per acre data is displayed at 1/18th scale, because Staten Island is bogarting all the trees.